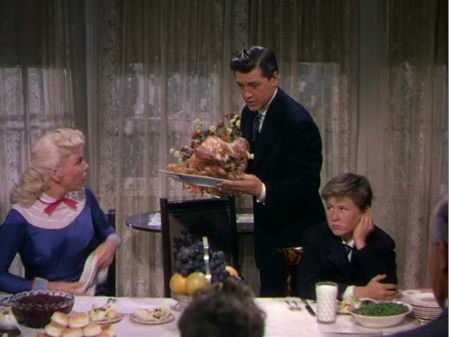 Happy Thanksgiving from Gordon and Doris. Several holiday themed TV shows and films have the theme of having a pet turkey that is destined to be Thanksgiving or Christmas dinner. Through the months, the turkey has become a friend to the main character so they are reluctant to cover it with cranberry sauce on Thanksgiving day. Wesley (Billy Gray) getting nervous at Thanksgiving dinner. 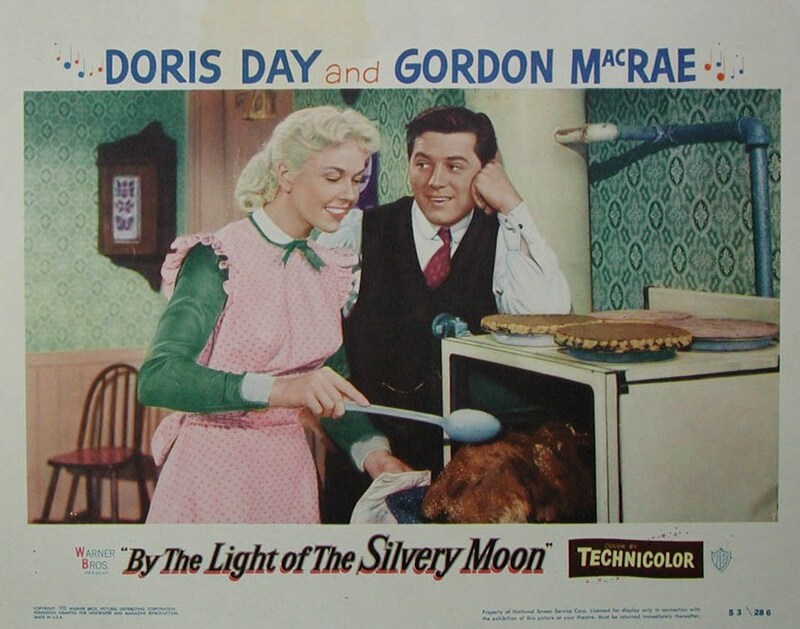 By the Light of the Silvery Moon (1953): This is the sequel of the Doris Day-Gordon MacRea romance “Moonlight Bay” (1951). These films are also based off of Booth Tarkington’s “Penrod” series, which is where Wesley Winfield’s (played by Billy Gray) shenanigans come from. This entry was posted in Holidays and tagged By the Light of the Silvery Moon, Doris Day, Giant, Thanksgiving, Turkey by Jnpickens. Bookmark the permalink. Thanks, Jessica, for a “yummy” post!